A topical collection on “Advances in Search and Rescue at Sea” has appeared in recent issues of Ocean Dynamics following the latest in a series of workshops on “Technologies for Search and Rescue and other Emergency Marine Operations” (2004, 2006, 2008, and 2011), hosted by IFREMER in Brest, France. Here, we give a brief overview of the history of search and rescue at sea before we summarize the main results of the papers that have appeared in the topical collection. Øyvind Breivik is on leave from the Norwegian Meteorological Institute. The conference cochairs would like to express their gratitude to the organizers and sponsors: IFREMER’s Service Hydrodynamique et Océano-météo, the Norwegian Meteorological Institute, the US Coast Guard Office of Search and Rescue, JCOMM, Region Bretagne, and the French-Norwegian Foundation. More information about the conference can be found at http://www.ifremer.fr/web-com/sar2011. 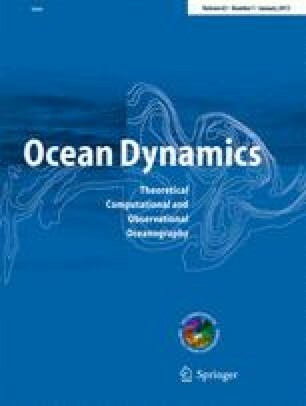 We are grateful to Springer (publisher of Ocean Dynamics) for taking the topic of SAR into consideration for a special issue. Øyvind Breivik is grateful to The Joint Rescue Coordination Centres of Norway and the Norwegian Navy for their continued support through funding projects that have allowed him to help organize these workshops. The editorial work has also benefited from the European Union FP7 project MyWave (grant no 284455). Thanks finally to Jack Frost, Larry Stone, and Henry Richardson for sharing their immense knowledge of the field of search theory and for helping to unravel the early history of SAR planning.